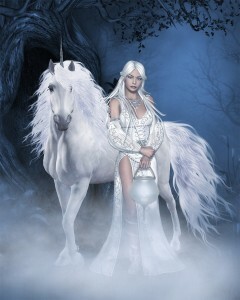 I just love myths and legends, don’t you? But it took me a long time to get bitten by the wisdom within them. Mainly because—all the ones I was exposed to featured men, dealing with men’s issues. Not that I haven’t gone back and fallen in love with those too! The crux was I just couldn’t really relate, while navigating the roiling waters of teenage-hood, to searching for the Holy Grail, going on a mammoth Odyssean quest, or any number of those myths and stories that featured, well, guy stuff. I loved guys. I just didn’t want to go on their mastery quests with them. They didn’t resonate with me. Being the best sword master wasn’t on my to-do list (although now young women by the droves are learning to be archers! How cool is that!). Imagine my shock when decades ago I moved to the farm to write, and ran across myths and legends about women. About the issues girls face trying to become women, and women face trying to make sense of their worlds. Oddly enough, I didn’t even know female-featured protagonists existed in myth. Of course, I grew up in a male-oriented Freud-centric home! But it wasn’t as though girls then were exposed to myths featuring strong heroines once we outgrew Nancy Drew and Alice and the like. And then dropped into my sphere came a huge tome that featured myths all about women. The male of our species has resoundingly cracked jokes about it. Of course, had any said male actually read it, he probably would be as bored with these female-oriented tales as I was of Gawain, et al. Unless of course he wanted to actually understand the women in his life. The converse of course leading me back to those guy tales and the wisdom within, later down the road. But it was Women Who Run with the Wolves that opened my eyes to a huge canon of literature I never knew existed. In it, Clarissa Pinkola Estes retells ancient myths with female protagonists (and to be clear, males as well at times), then delves into the psychology held within them like glittering jewels. It truthfully opened my world to the vast inner wealth of the female psyche. I felt, literally, physically, emotionally, psychologically as if I had come home. Nearly all of the stories resonate and sing into my soul. They’re all pieces of the psyche, all digging down into the bones of us. Teaching, comforting, showing us the way. And so importantly—reminding us that others have gone before and lived to tell the tale. It was here I first found the story of “The Doll in her Pocket: Vasilisa the Wise.” Why I’d never come across this ‘til then, I’ll never know, because it’s an ancient story, and many iterations of it exist, in cultures near and far. But that myth literally changed my life. The very essence of the story is about finding and listening to one’s intuition (which was anathema in the home and culture I grew up in). By listening to that deep soft voice, Vasalisa (and I as well) heard the heartbeat of that profound internal guidance that contains all of the collective wisdom of those who came before. I was like, why weren’t we taught this in school? Right? Not only did this impact my personal life in a huge way, but it cracked open my creativity as I was writing what was to be my first published novel, By the Book. I didn’t use that in that book per se, but it planted the seeds for what was to become a lifelong joyous study of mythology, and for my novel, I Just Came Here to Dance. Dance follows many myths and legends as it wends its way to understanding, but Vasalisa provides the heart of it, as Paula Anne finally hears and follows her own intuition. Finally lives her authentic life, rather than being stuffed into the conformity of some creature designed by the culture. Ah, can’t you feel the rhythm? I can only laugh about the reader who didn’t like the mythological reference! You know, you have 100 readers, you’re gonna have 100 different opinions. My reviews of the new novel have gone both ways about the mythological references–some have said they didn’t like them, and some, that they loved them! Isn’t it always amazing how people react! And yep–that doesn’t change our jobs as authors. You go, girl! I too would have loved reading myths about women. Because I was a woman in an atypical field – aviation – I was a pilot and flight instructor and flight school owner, I was often asked to talk to school groups. I never tried to persuade them to fly but to reach high and do what they really wanted to do. I got great satisfaction from those talks and answering questions. Isn’t that just the key, Beth? To show by example? I often talk to junior high kids about writing, and it’s so incredible to watch the possibilities open for them. Love that you’re doing that too! even modern myths dont create lady stars…Happy potter a perfect example. But we can create our own legendary women in our minds lol! Bravo Beth wow a Lady flight instructor. Now how cool is that! It’s the old ‘damsel in distress’ mode that makes me nuts, Jules! But this is changing somewhat, and the old myths with women as protagonists do exist. What a treasure! And isn’t that the coolest thing about Beth, the lady flight instructor! It’s lovely to see how you became passionate about what you do. I love hearing stories about how authors become authors. Thanks for sharing your experience. Susan, this explanation of your interest in mythology has intrigued me. Now I’d love to learn from and understand “Women Who Run with the Wolves” and “The Doll in her Pocket: Vasilisa the Wise”. My interest as a kid (and still today, truth be said) was always sci-fi. Don’t get me wrong… sci-fi not horror (Alien was horror). In sci-fi themes, women are almost always treated as equals, and the main feeling left to viewers/readers is hope. You are so right, Trish–true Sci-Fi has always featured strong women! Sci-Fi is, oddly enough, a pretty sophisticated genre–from both the writers’ and readers’ standpoints. I highly recommend the Estes book, especially if you have interest in the psychology behind myths (which just tweaks me all the way to Mars). And here’s another post about Vasilisa: http://www.susanmarymalone.com/vasilisa-the-beautiful/ Thank you for stopping by! When I was very ill, I found Arscura – School for Living Art and throughout my journey back to health, the wisdom of the Goddess “myths” was interwoven with the deep inner work I was doing. We also did work with Fairytales and there are many female stories in this wealth of tales as well. Although I can’t remember as a young woman what women protagonist spoke to me specifically, perhaps there was only an occasional “heroine” in the current book I was reading. I enjoyed reading your post, Susan Mary, and love how these female archetypes “found” you through Clarissa Pinkola Estes’ book. And then how this contributed to your own author’s journey. Interesting how this happens and how impacted our lives are from then on. Oh, what a wonderful school you found in Arscura! I’ll have to look that up, Beverley. I’m just tweaked by that! And it truly is interesting to see how our lives are impacted by a whisper from an archetype. Once that catches you too, it never lets you go . . .
I”m not one to read up much on myths but I will talk to my daughter about this She’s an English major and writing a novel and love all the Greek Mythology. I’m sure she would be very interested in this. Thanks! I would love your daughter’s take on this, Lisa! I loved “Women Who Run with the Wolves”! The problem with so many myths and legends — other than being almost exclusive male-centric — is that the women are often the frail “woe is me” types who need a big, strong handsome man to rescue them. Sorry…not my style! My sentiments exactly, Jackie! And isn’t it just wondrous to find myths with strong women protagonists!